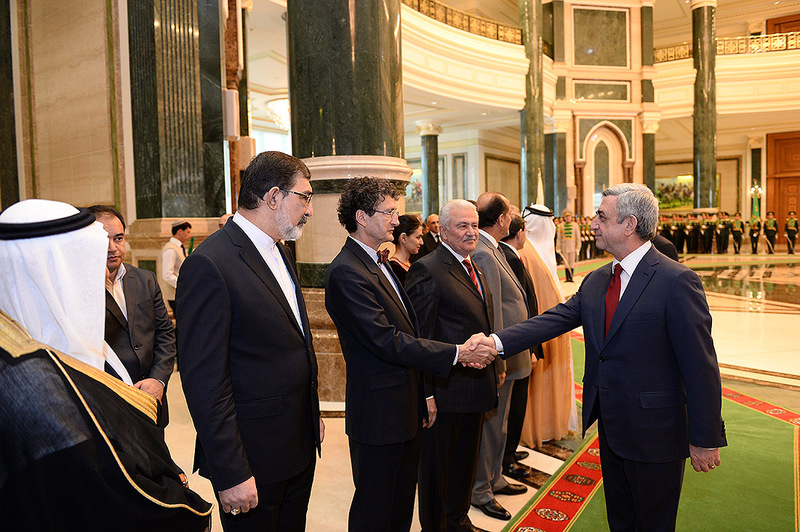 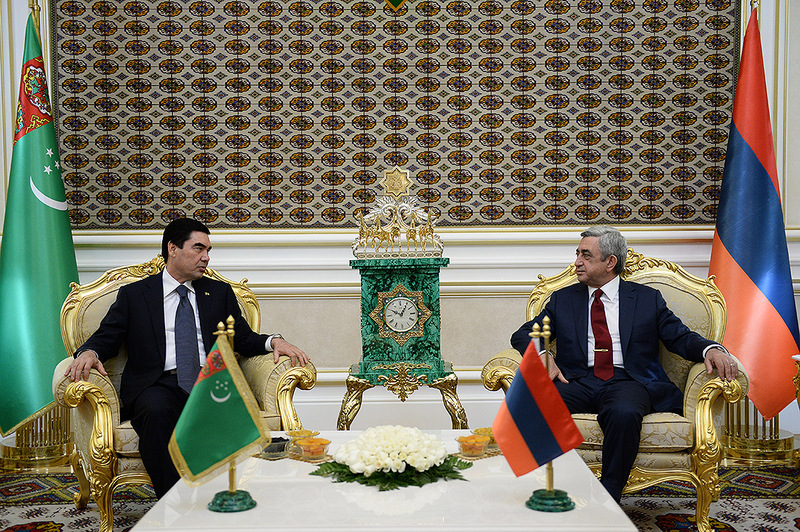 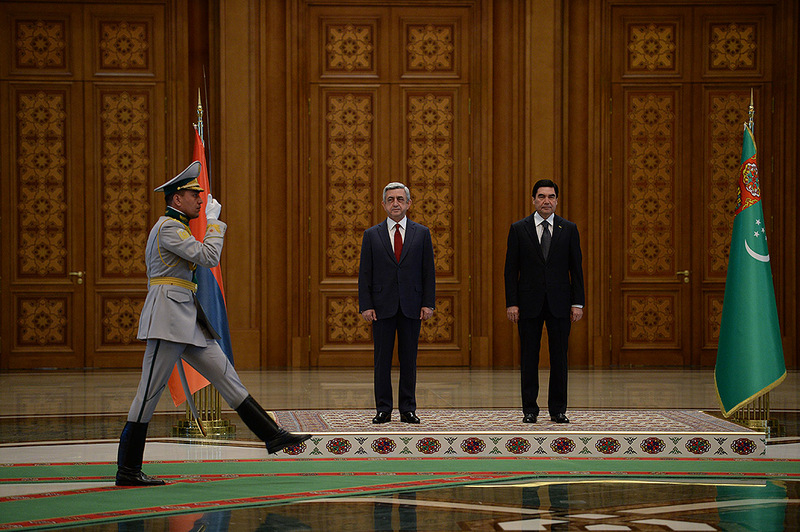 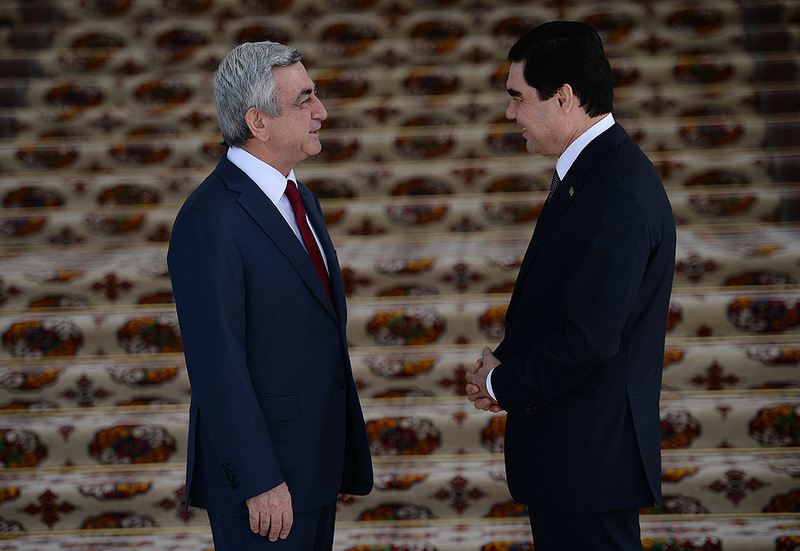 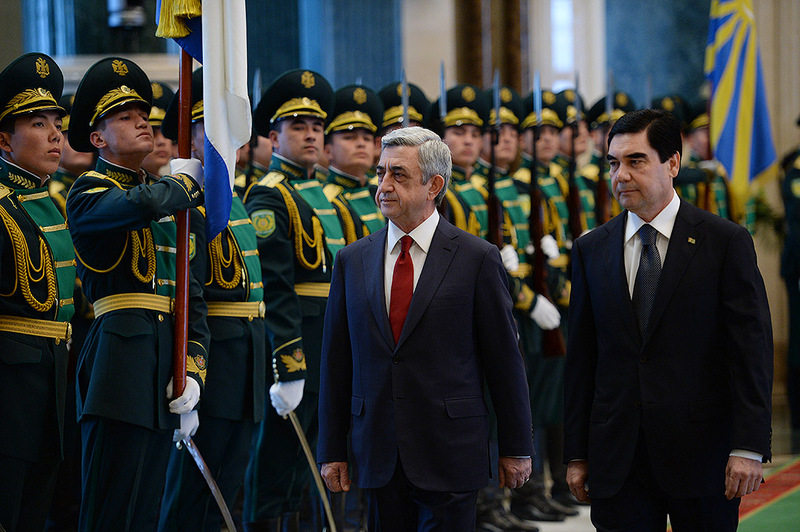 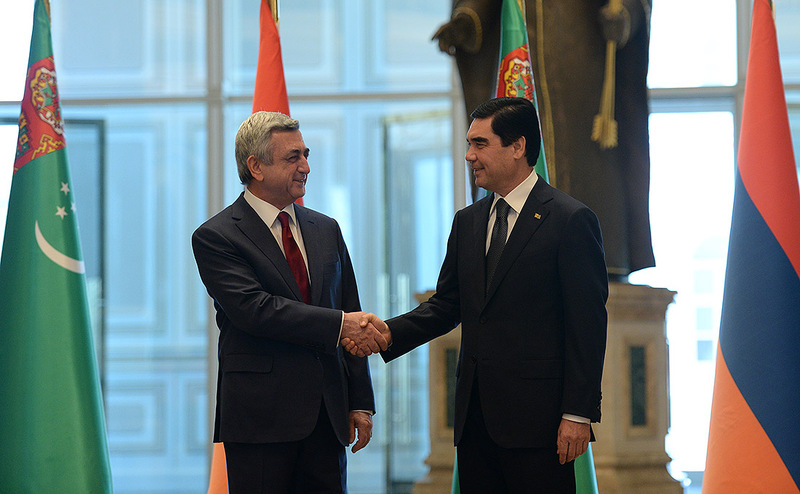 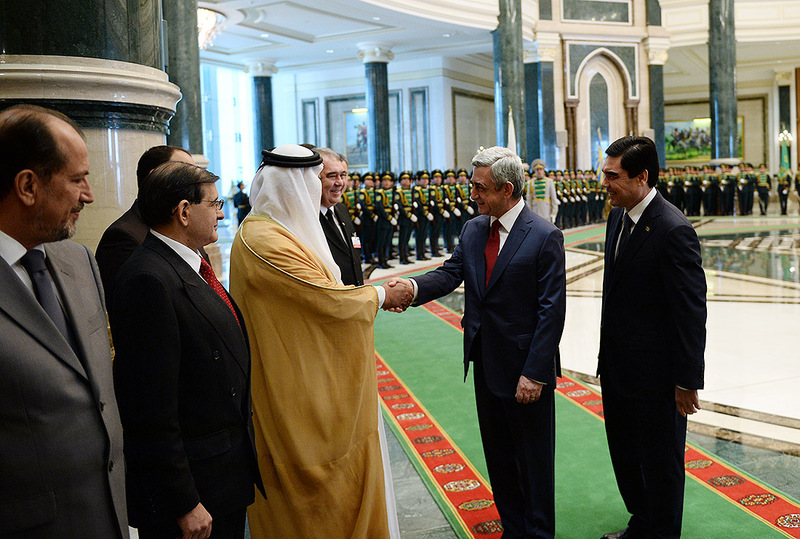 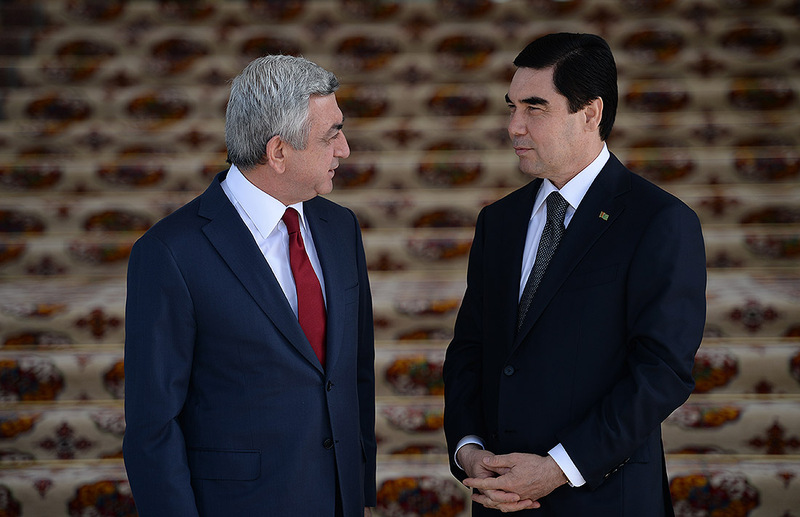 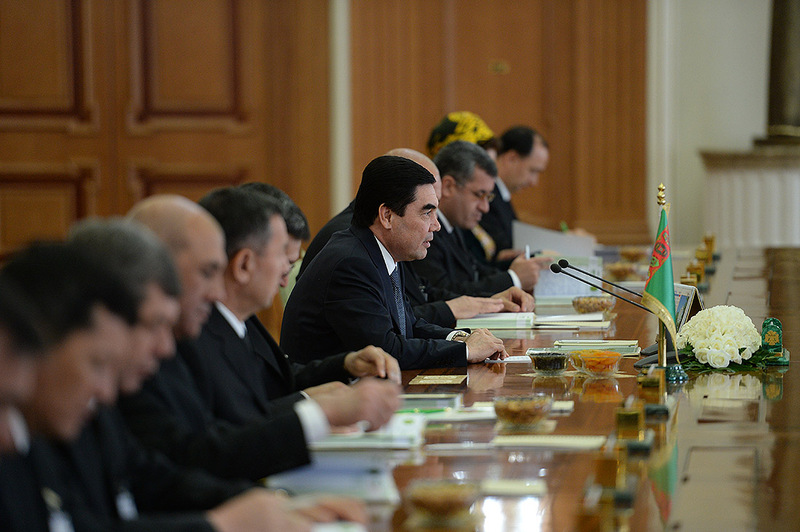 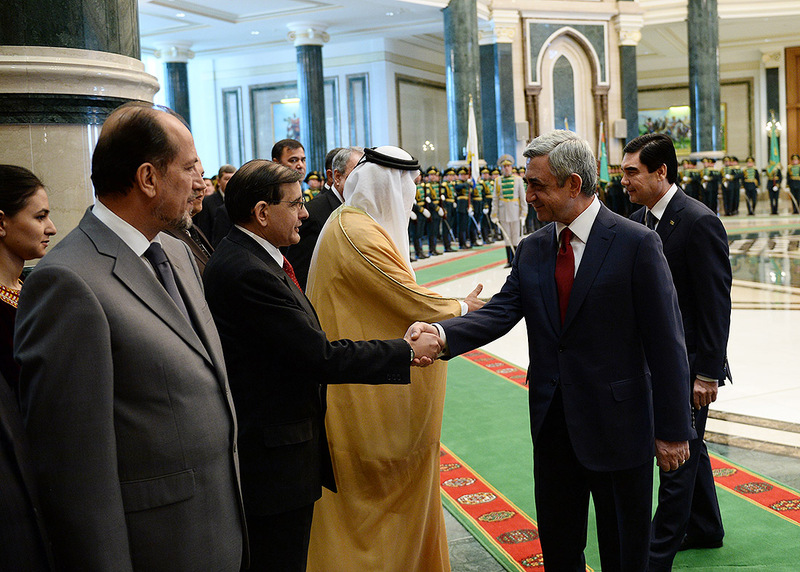 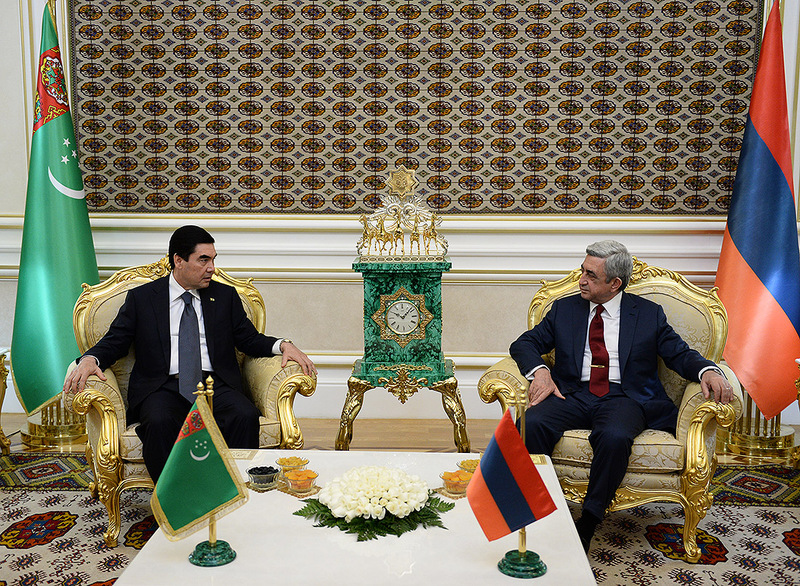 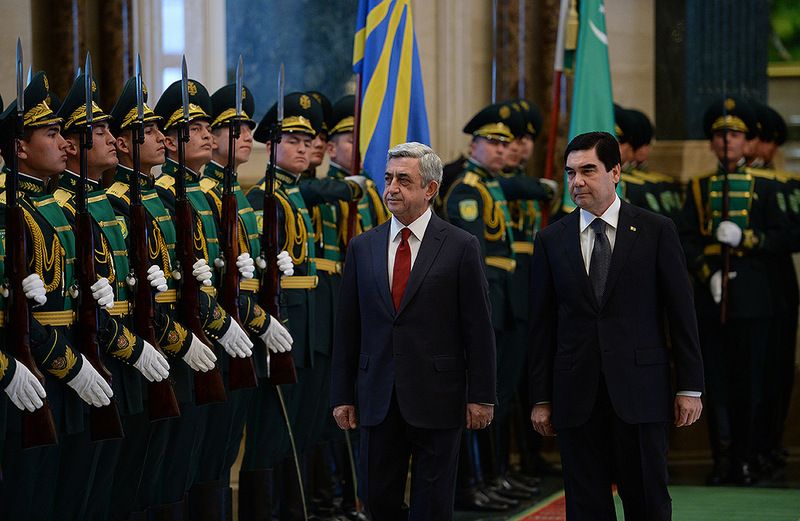 Today the official welcoming ceremony of President Serzh Sargsyan having arrived in Turkmenistan on an official visit took place at the Presidential Palace followed by President Serzh Sargsyan’s and Turkmenistan’s President Gurbanguly Berdimuhamedow’s bilateral, as well as broadened negotiations of the two countries’ official delegations. 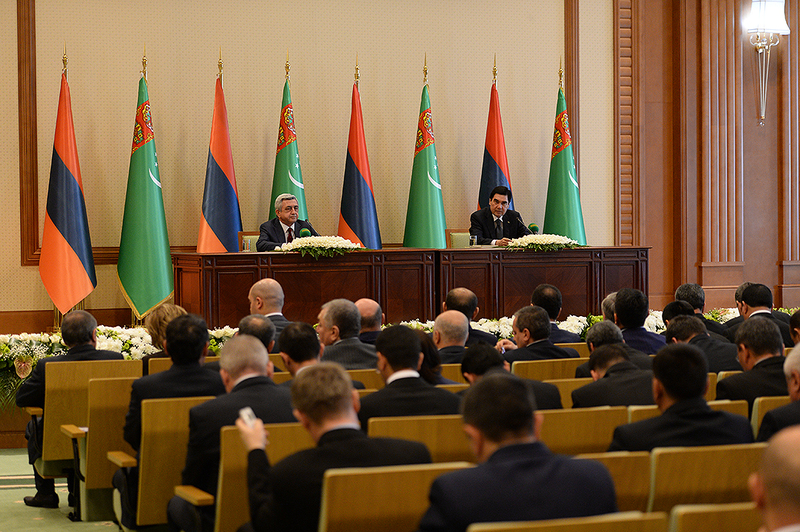 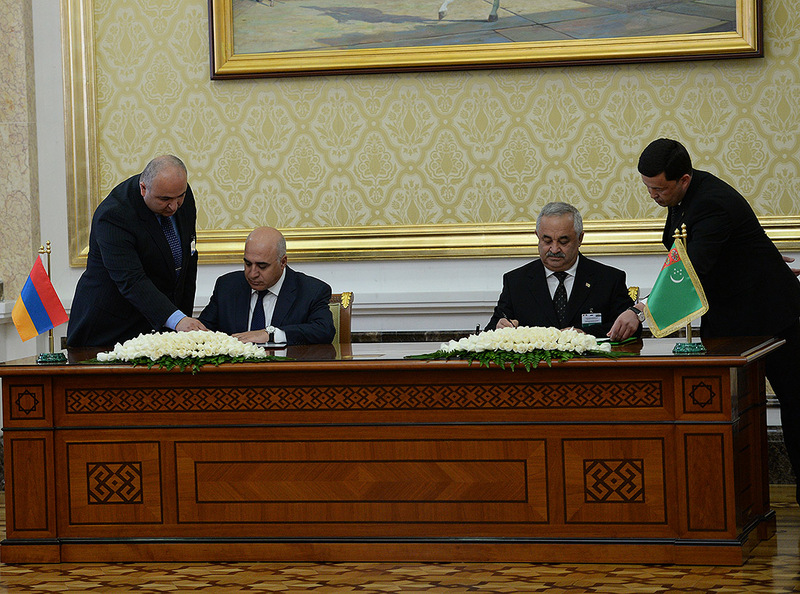 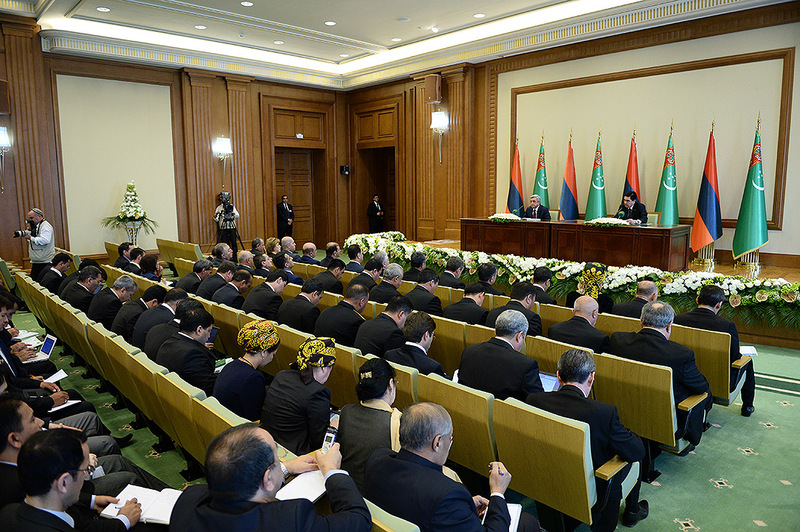 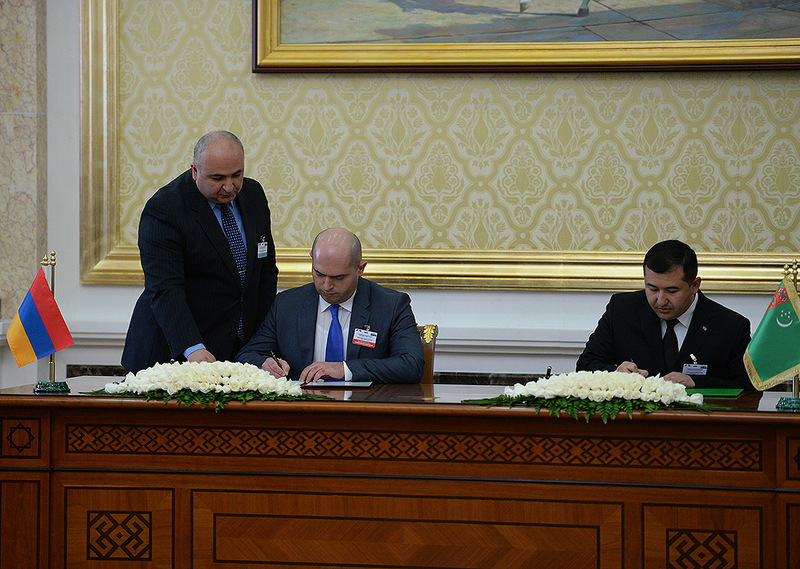 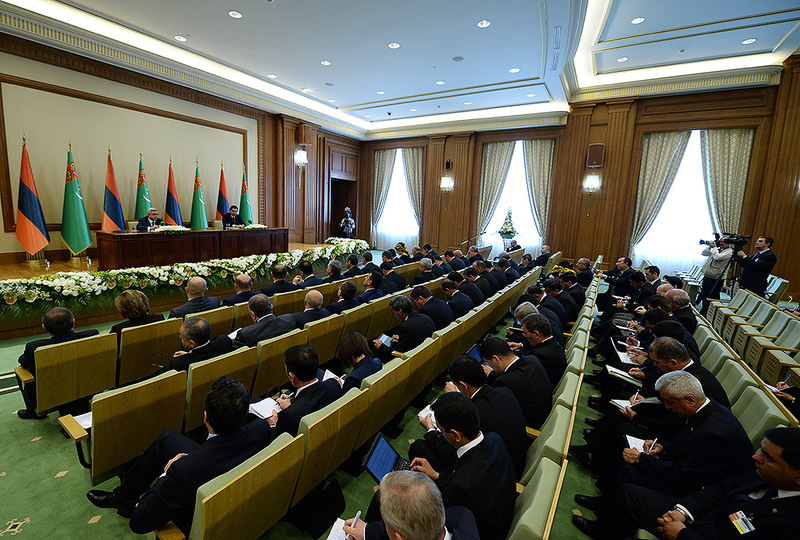 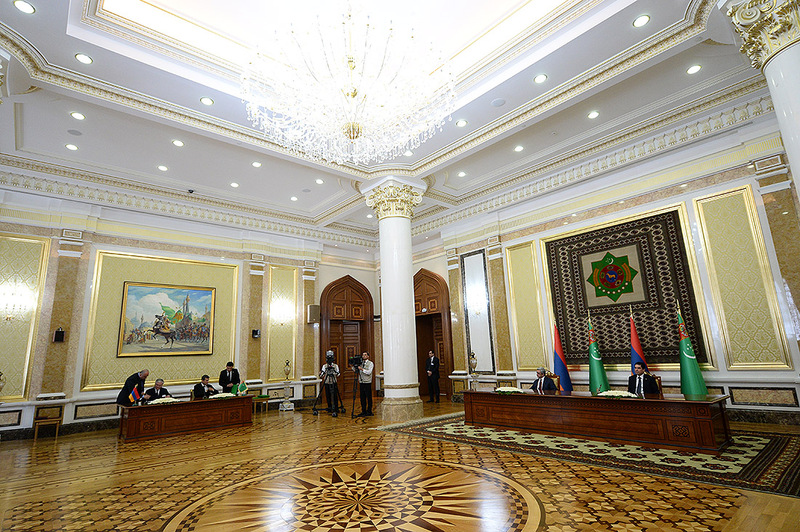 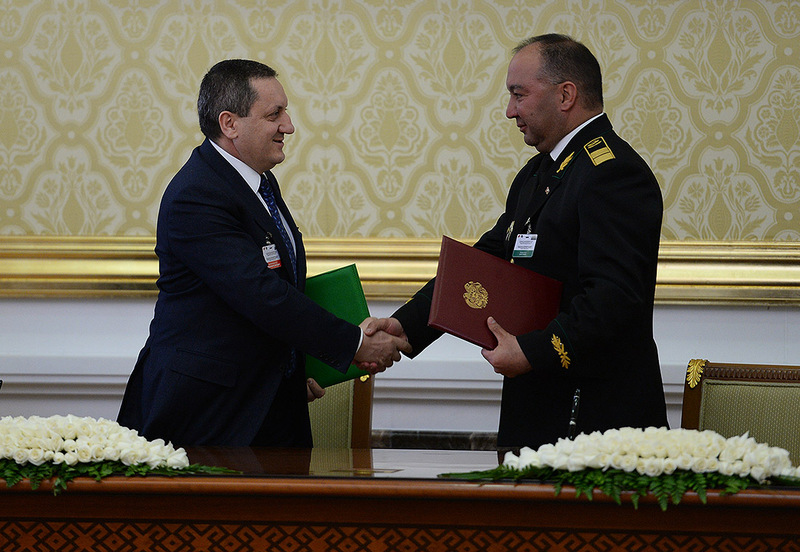 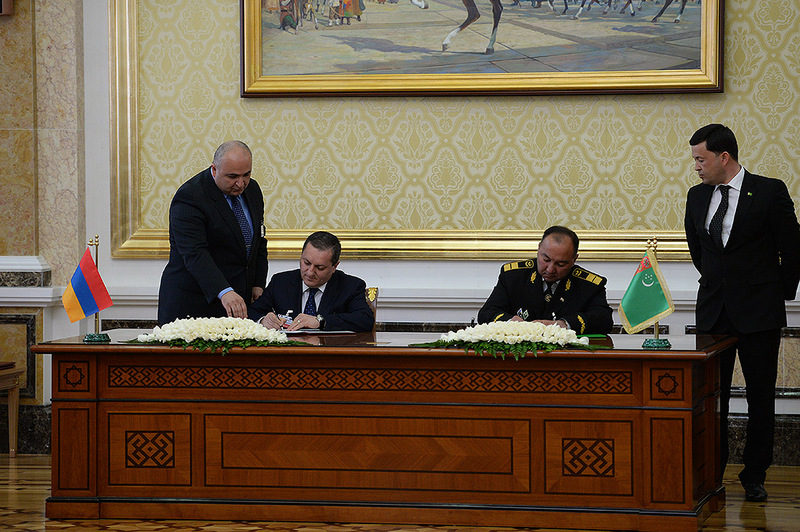 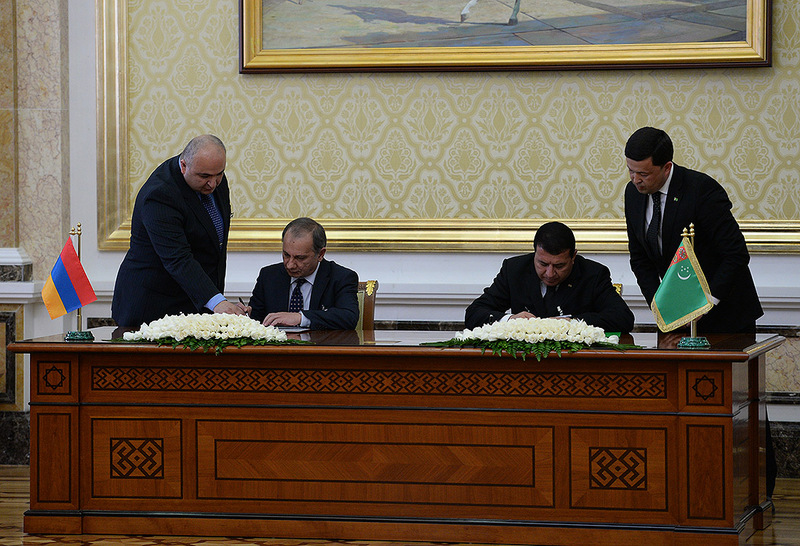 As a result of the Armenian-Turkmen high-level negotiations a number of documents regarding the development and advancement of cooperation between Armenia and Turkmenistan were signed. 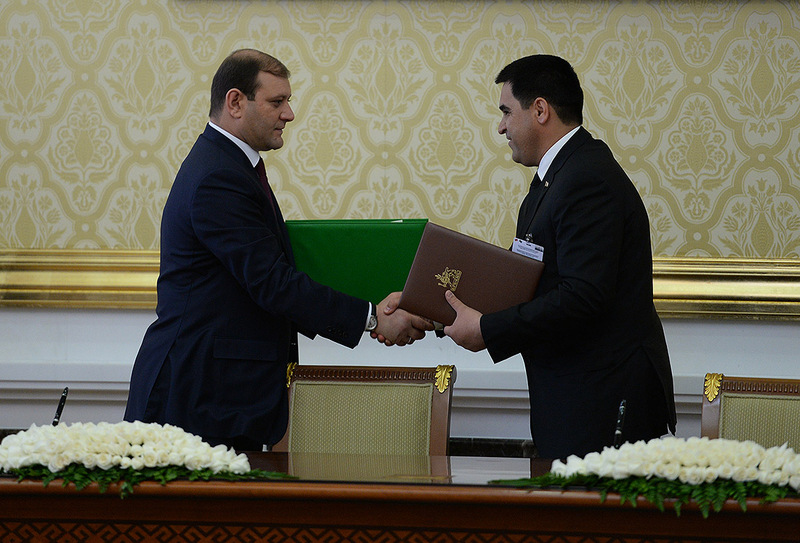 These documents include: a Cooperation Agreement between the Union of Manufacturers and Businessmen of Armenia and the Union of Manufacturers and Businessmen of Turkmenistan; a Cooperation Agreement between Armenian State Institute of Physical Culture and the National Institute of Sports and Tourism of Turkmenistan; a Friendship and Cooperation Agreement between Yerevan and Ashgabat cities; a Memorandum of Mutual Understanding between the General Department of Civil Aviation of the Republic of Armenia and the State National Service Turkmenhovayollary; a 2014-2015 Cooperation Agreement between the Ministry of Foreign Affairs of the Republic of Armenia and the Ministry of Foreign Affairs of Turkmenistan, an Agreement on the Establishment of Reciprocal Trade Missions between the Government of the Republic of Armenia and the Government of Turkmenistan. 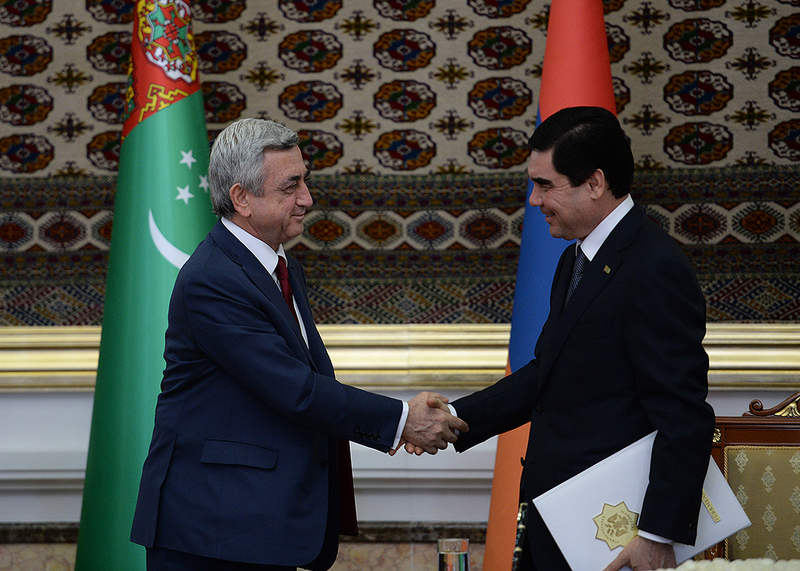 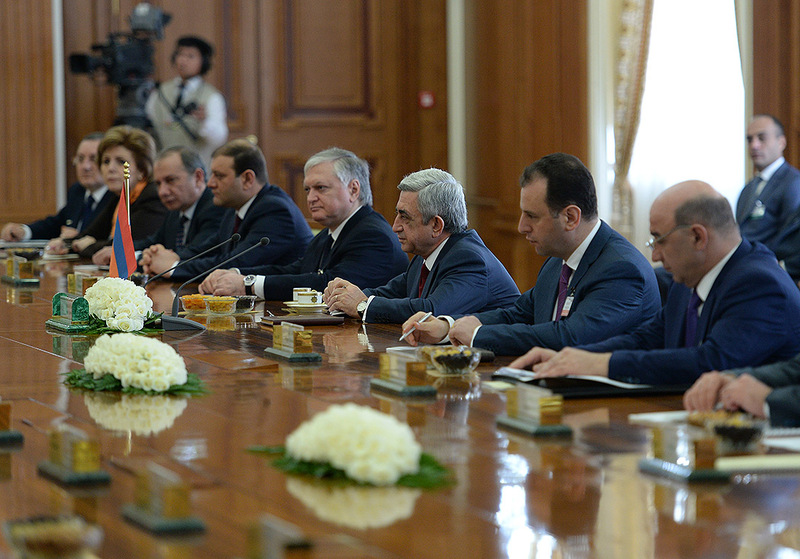 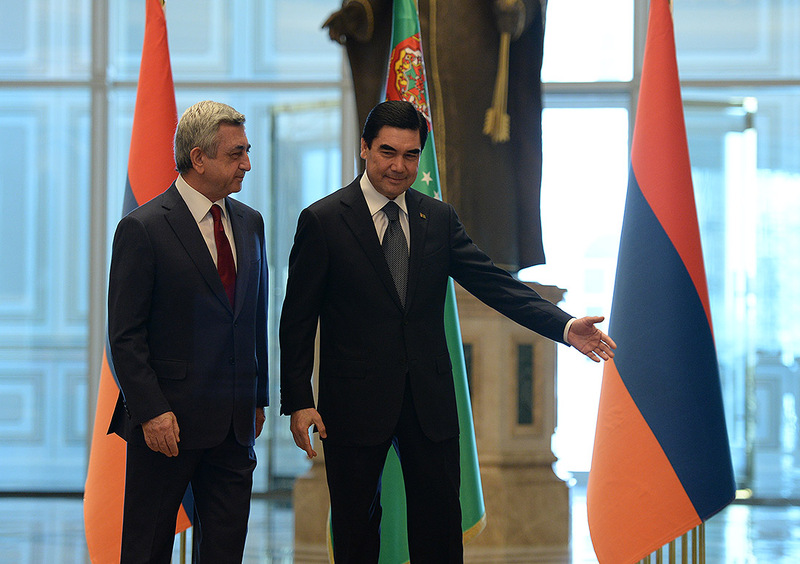 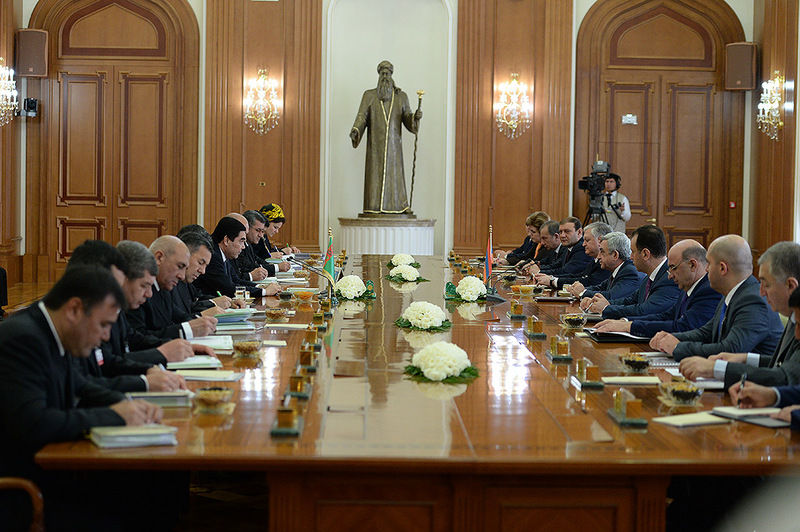 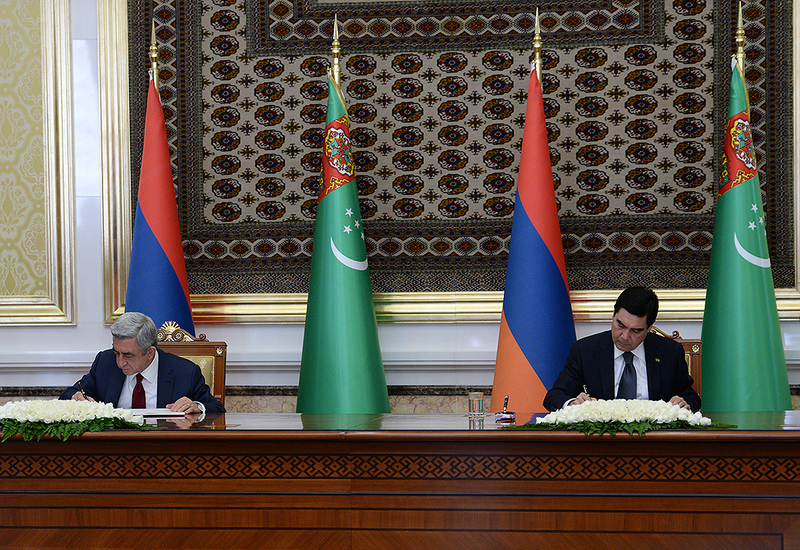 The Presidents Serzh Sargsyan and Gurbanguly Berdimuhamedow signed an Armenian-Turkemen Joint Statement recapitulating the negotiation results.